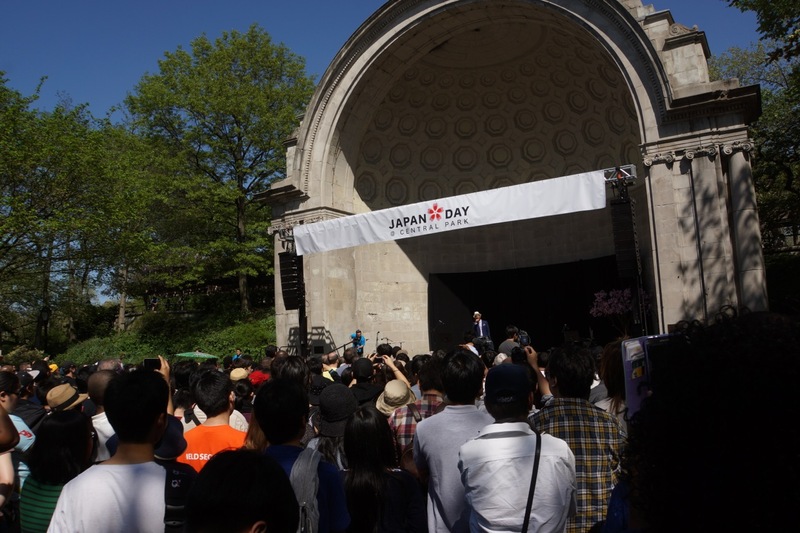 For the eighth year the Japanese community in New York has shown its appreciation for the city by organizing Japan Day @ Central Park, a festival that celebrates the diversity of Japanese culture through food, activities, and performances. 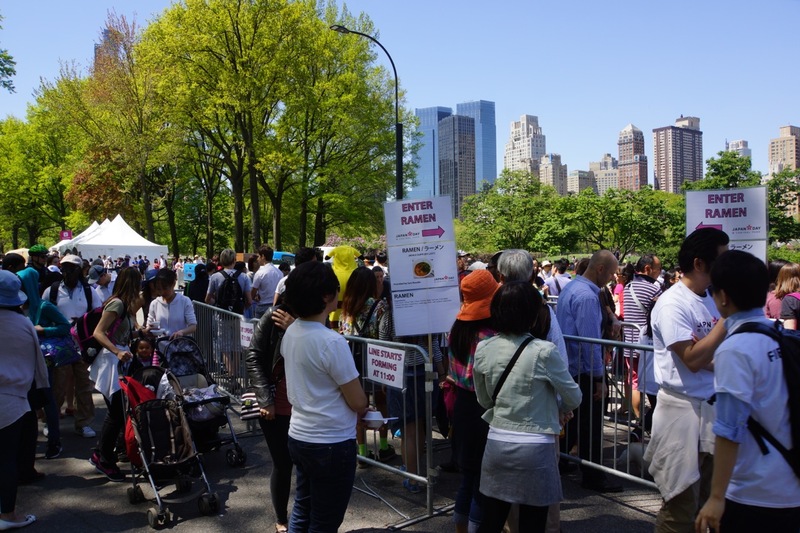 The turnout was huge on this glorious spring day, with long lines stretching from tents where children of all ages could participate in Japanese-related activities such as yo-yo fishing, origami, and calligraphy. Visitors tried on yukata, Japan’s summer kimono, and had their faces painted like characters in Kabuki plays. Everyone wanted to have their pictures taken with Hello Kitty and Domo. 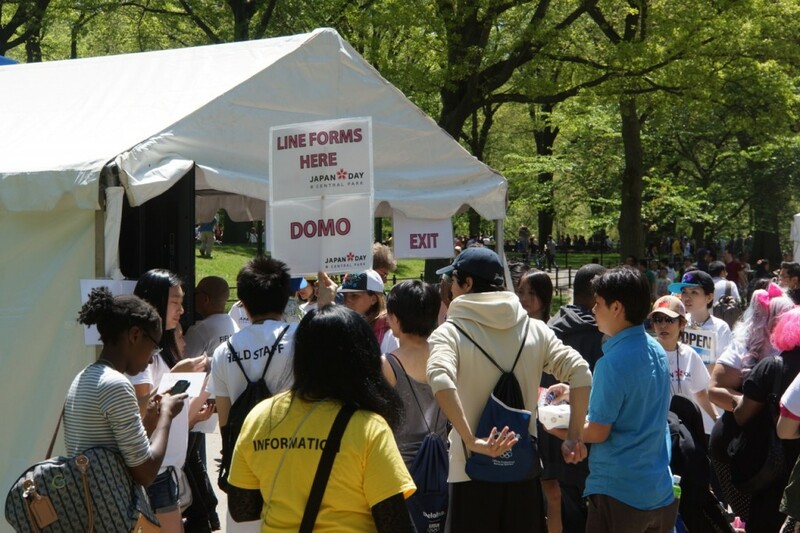 The longest lines were in front of the tents serving different styles of Japanese food, including ramen, miso soup, gyoza, and okonomiyaki. Many people waited up to two hours for a taste of their favorite Japanese cuisine. “When I arrived at 10:00 a.m. to prepare, there were already 200 people waiting in line to try ramen,” says Kenshiro Uki, general manager of Sun Noodle. Uki was initially concerned that the 80-degree weather would deter people from eating hot foods, but that was not the case. Crowds also packed the area in front of the Bandshell, where several acts performed music and dance that ranged from traditional Japanese to contemporary Western to a blend of both. The highlight of the performances was Jero, a Pittsburgh native who made a name for himself in Japan by singing enka, a traditional ballad that was a favorite of his late Japanese grandmother. 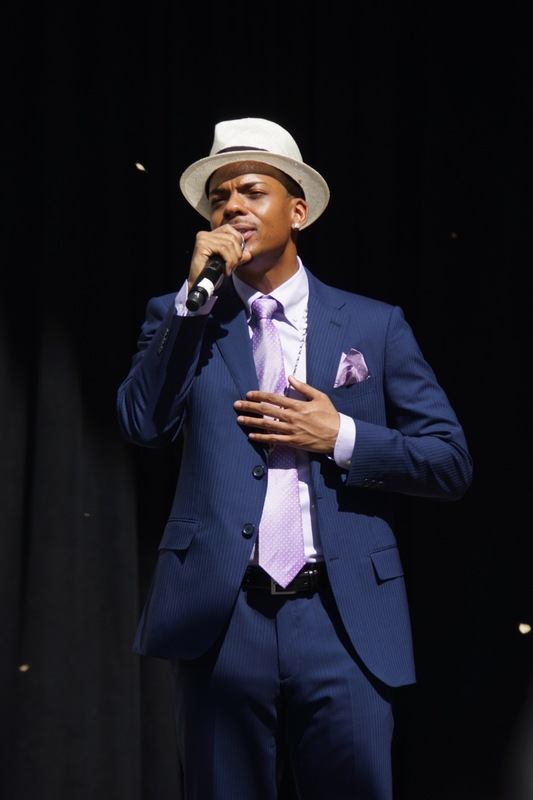 Infusing his own bluesy/hip-hop style into enka, Jero recently released his ninth single in Japan, one of three songs he performed onstage at Japan Day @ Central Park before leading the crowd in the traditional New York Ondo dance with the Japanese Folk Dance Institute of New York. 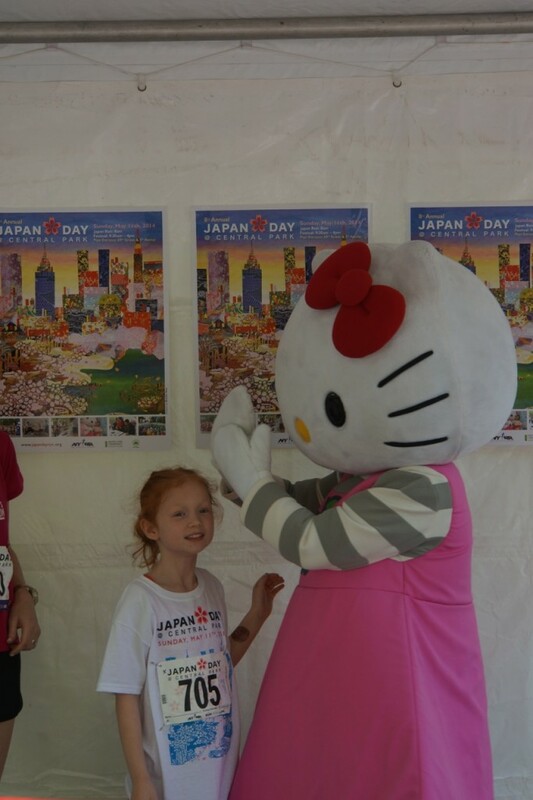 Stay tuned for more of our interview with Jero and a video wrap-up of Japan Day @ Central Park. Check out more pictures on our Flickr page. Next Next post: It's JapanCulture•NYC's Third Birthday!